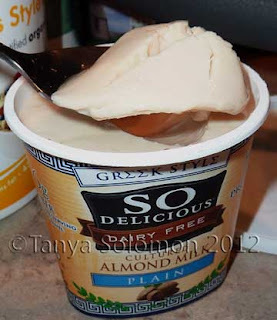 So I tried WholeSoy. Fail. Something about the texture wasn't right. Trader Joe's soy yogurt. I can't remember if it was plain or vanilla. Not right either. I tried WildWood. Nope. Not my thing. And these others were also higher calorie than Silk. Ok. Kind of a strange texture. And maybe too much of an almond taste?? You know...I'm just not a coconut flavored person for these kinds of things. 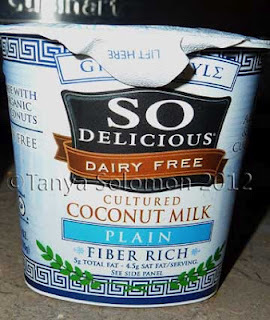 (I know your mouths have all dropped in amazement by now...) I love coconut milk ice cream, but not yogurt, and NOT creamer for my coffee!! I would say this was my favorite of the small ones....though I still prefer Silk! People have different tastes, I know.....I've heard people rave about the So Delicious yogurts or even Amande (which I'm still scared to try because I read so many bad reviews)!! Has anyone tried Ricera's rice-based yogurt? I did not try the other yogurts in the dip, only alone with granola. 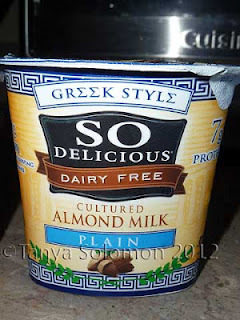 What's your favorite vegan yogurt? What's your favorite way to eat it? but I can say with *loud* conviction that I would not recommend Ricera to anyone! 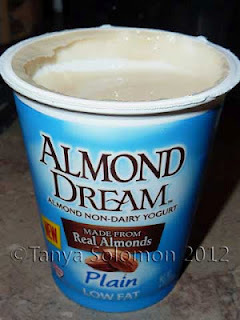 Personally, I think Amande is the best almond milk yogurt I have had - seriously! I liked yoghurt before I went vegan but we don't have many good vegan options here so it's something I no longer eat. I'm a bit jealous of all your options!